Lightning McQueen is a young, hotshot rookie race car in the last race of the season. At the end of the race, he finds out he is tied with Chick Hicks and The King. On the way to the tie-breaker race in Los Angeles, California, some hot punk cars get him lost in a little town called Radiator Springs on the old Route 66 road, which has been long forgotten many years ago. Scared to death, he tears up the town's main road and is sentenced to community service by Doc Hudson. 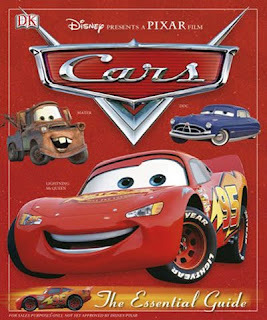 During this time, he meets a funny, but lovable tow truck named Mater and a beautiful Porsche Carrera named Sally. He also meets some other cars, whom which he finds to be quite odd. All he wants to do is get out of this town and back into the big city, but as the week until the race goes on, the town folk help him discover that life isn't just about trophies, fame, and sponsorships and McQueen learns about family and friendship.